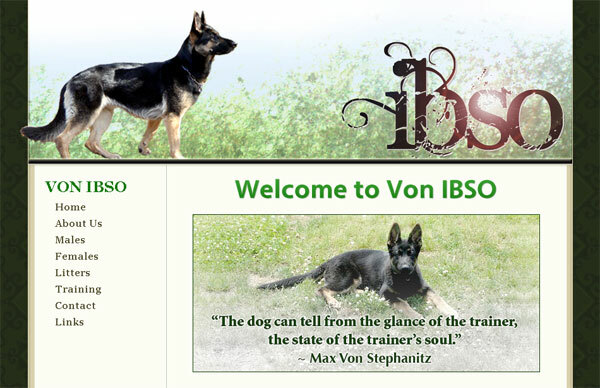 Just launched a new website for Von Ibso Kennels. I know this is a divergence from street art, but some selfless promotion for my brotha never hurts! If your a fan of German Shepherds, these dogs are no joke. A good friend on the east coast is breeding some beautiful working dogs and training them for police work and Schutzhund competition. It’s a good things they don’t train dogs to track the smell of fresh paint! If your looking for a beautiful, intelligent, disciplined and well-trained BEAST, check out Von Ibso Kennels.